The practice specialises in design of low environmental impact buildings, with a broad and adaptive palette of materials, structural systems and forms. The practice also consults extensively on environmentally sound design and construction techniques for architects, builders and owner builders. The practice is experienced in such construction forms as traditional joined timber frames (no nails, screws, bolts or other fixings), straw bale building, rammed earth works, large section marine grade structural aluminium alloy frames, recycled material and buildings together with advanced electronic and state of the art technology service systems. The principal is a qualified building supervisor with extensive investigative experience in residential construction inspections and reporting for private clients and Government authorities. The principal has appeared for clients and given professional evidence in court for a number of appellants before the Planning anAppeals Tribunal and the Land and Environment Court. The principal is also a principal of the licensed building company Wonders Building Company Pty. Ltd. WBC has constructed numerous buildings in this role and is experienced in carpentry, alloy fabrication and building together with construction management roles on larger programs and for owner builder clients. Principal of Wonders Building Company Pty. Ltd.
See attached list of projects. 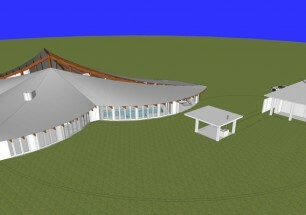 Research into environmentally sound architectural design and construction techniques for development of EcoCost environmental impact evaluation system. Draft for “A Book for Living Sustainably” currently under final edit. to construct prefabricated alloy framed demountable buildings. Projects on Flinders Island, Tasmania, Newtown NSW, Hong Kong, Tumut NSW, Nannup, Western Australia, The Kimberley, Johanna Beach Victoria, Wombarra NSW. Terrace House Renovations Inner West Sydney – Design, Approvals and Construction Contract management for a series of inner city alterations and additions. Phelps St Surry hills; Australia Street, Newtown (x 6); Pleasant Avenue, Erskineville; Angel Street, Newtown; Denison street, Newtown. Piermont Estate – the development of the estate into a series of small mediteranean inspired villages dotted along the extraordinary coastal property. Forrestville House – An innovative bushland facing concrete and aluminium alloy frame dwelling flowing down to the garrigal cliffs and opening 8m high to the bushlands. Johanna Beach Walking Lodge Design, Fabrication and Erection of an extensive walking lodge for an established tour operator on the south coast of Victoria, consisting of four large pavilions and six accommodation cabins using the Ecoshelta bigpod system. Kimberley Research Station Prefabricated EcoShelta building for an environmental research station on vast station in the Kimberley. Grays Point House Design and construction of a private dwelling as a series of interconnected single storey and double storey pavilions on a large bushland allotment – using the ecoshelta system. Nubeena Hilltop House Design and construction of a private masonry and timber frame dwelling on a mountainside above a small fishing village in Tasmania. West End Beachfront Cabins Design and construction of a commercial tourism operation on Flinders Island, Tasmania using EcoShelta Cabins. Another Newtown House Design of a dwelling renovation for a suburban house in Newtown, NSW. 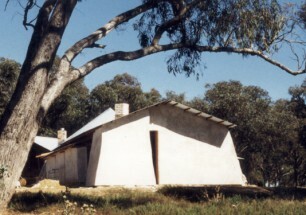 Nannup House Design and construction of a private ecoshelta cabin system dwelling at Nannup, WA. Stanhope House. Design of a large rural homestead in the upper Hunter Valley NSW consisting of four large pavilions grouped around a central courtyard with pool. West End Beach House, Flinders Island A pre-fabricated Alloy framed, timber detailed Beach House in a wild and isolated part of the world. A series of pavilions joined by an enclosed curved timber walkway. Birchgrove House Renovations Extensive rebuilding of an inner city freestanding dwelling including an entirely new upper floor to make a substantial contemporary residence. Another Birchgrove House Renovation Extensive additions and renovations to an Inner City freestanding Dwelling to create a contemporary residence. Birchgrove Cottages Design and Build project. Substantial additions and renovations to a pair of inner city semi-detached cottages into two storey, high density urban dwellings. Gipps Street, Balmain. Five Dock House. Substantial renovations to a freestanding suburban house in Five Dock Sydney, Design and Construction Management. Borenore Artist’s Home and Studio Design and Build project. A Joined Timber frame, Rammed earth, Straw Bale, passive solar environmentally low impact dwelling for an artist and his family in a rural setting. Old Newtown Morgue. Completed rebuilding and additions to the old morgue, conversion to substantial dwelling and office space. The Yarrh Winery. Design and Construction Management of a substantial new winery building in Murrumbateman NSW, including straw bale and alloy frame winery, earth sheltered cellar and timber framed cellar door commercial area. Duffy Bushfire Re-Build Canberra. Design and Construction of an extensive new house in many parts around many garden courtyards to replace a bushfire destroyed dwelling. Alloy frame, Rammed earth internal walls, rendered Hebel block external walls, timber detailed. 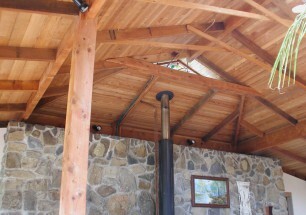 PoolHouse Deck and Pergola Design and Build. Oct ’92 – Dec ’92. Convicts Exhibition, Hyde Park Barracks Museum, Set Building Construction. Apr 98 – June 98. Orange Dwelling Construction. Oct 97 – June 98.